Hi everyone, here's the selections for the week. and PGE-N°2 with VIA Dome-Obs. "Glacier Park"
HemiAdda2d, Mike VE2TRV, BNSF FAN and 5 others like this. Great pics everyone, what a good B-day present for me! 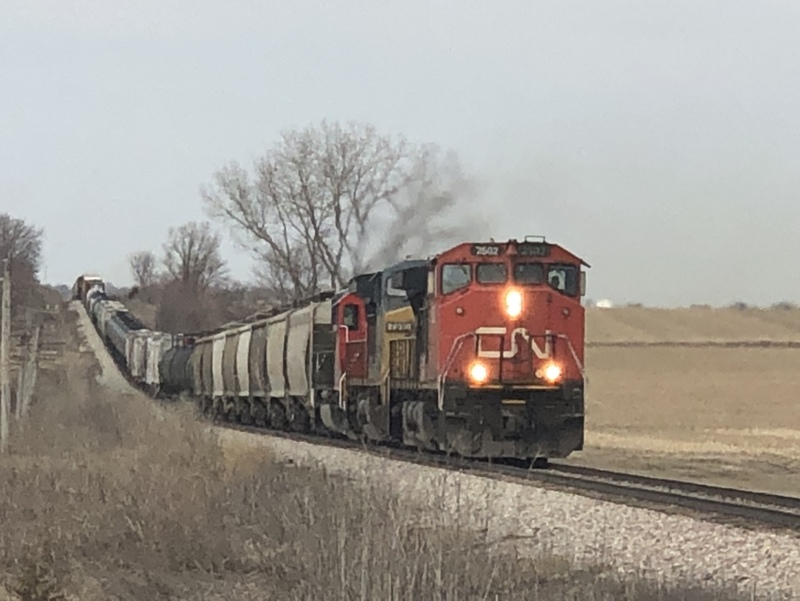 Actually CN 2446 is a "Draper Taper" unit. The nickname "Barn", or moreso "Red Barn" was used on only one model that I know about. That was on the CP, their SD40-2F units. This came from the cab styling. Happy Birthday, Kurt. Another nice selection from you photographers. I always like seeing the wonderful photos in this thread. Colorful and great variety as always. Thanks for keeping this weekly thread alive and kicking!